Manlift, headquartered in Dubai, UAE, is a leading supplier of access platforms and power solutions, operating one of the largest access platform fleets in a vast region stretching from the Middle East to Southeast Asia. The Manlift fleet of more than 2,800 ISO-certified aerial work platforms is the youngest in the region and consists of diesel and electric boom lifts, articulated platforms, and scissor and spider lifts from a range of respected brands such as JLG, Genie, Skyjack and Teupen. 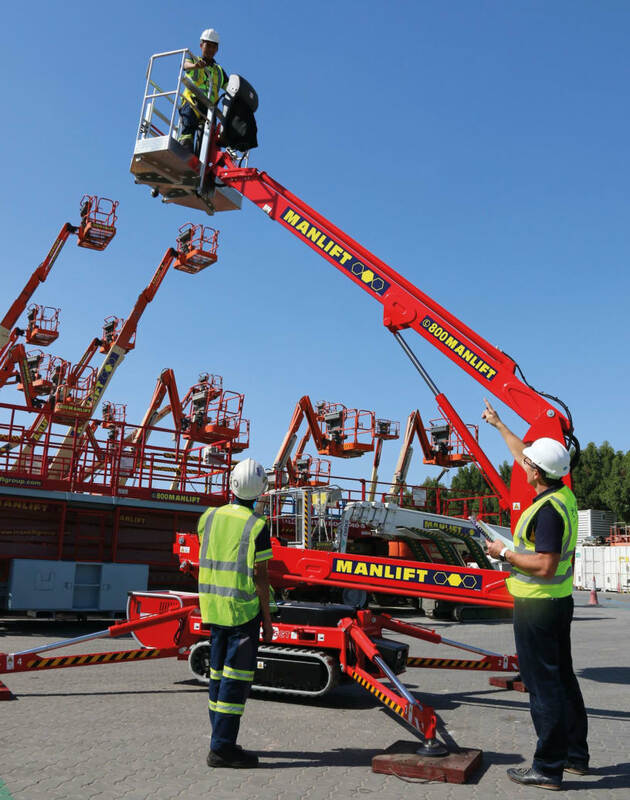 Manlift offers more than equipment rental; it also provides high quality training for operators of access platforms and power solutions, with training centres in the UAE, Qatar, and India that have all been accredited by the International Powered Access Federation (IPAF). Safety is both a guiding principle and a core value at Manlift. Attaching paramount importance to working safely and efficiently at height, Manlift is a strong advocate of comprehensive training for anyone who uses an aerial work platform. Indeed, Manlift trains more than 1,000 operators each year in many different languages, including English, Hindi, Urdu, Tamil, Malayalam and Sinhalese, all across the Middle East and Southeast Asia, with a firm commitment to accommodating the specific language preferences of our customers and providing quality training. Training courses are offered at all of Manlift’s dedicated purpose-built teaching facilities in Dubai and Doha in the Middle East, and Delhi and Gujarat in India. Manlift also offers tailored training courses on-site if a customer has appropriate facilities. Companies can feel secure in the knowledge that operators have access to qualified IPAF instructors who adhere strictly to EU standards and comply with health and safety regulations applicable both in the region and Europe. In addition, Manlift offers expert professional advice on access equipment via phone, email, or the web. 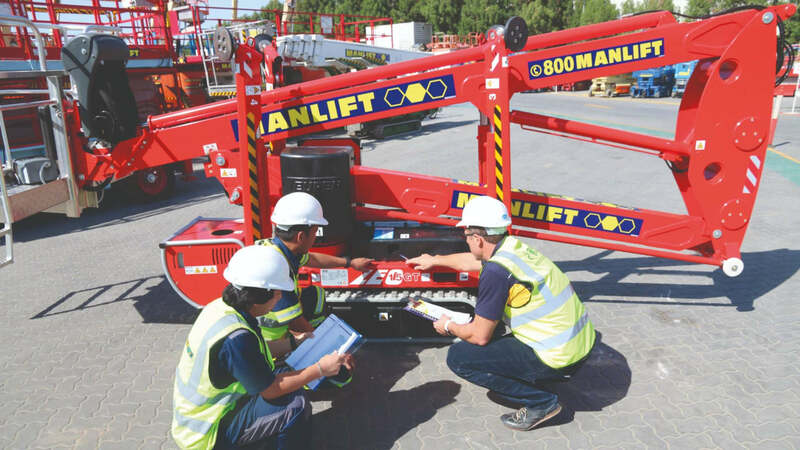 Whatever questions you may have on the safe operation of access equipment, you can rely on Manlift to provide you with friendly and knowledgeable answers in keeping with our commitment to safety. Manlift has also been recognised for its safety training. It was awarded the IPAF Training Centre of the Year at the IAPA Award Ceremony in April 2017. 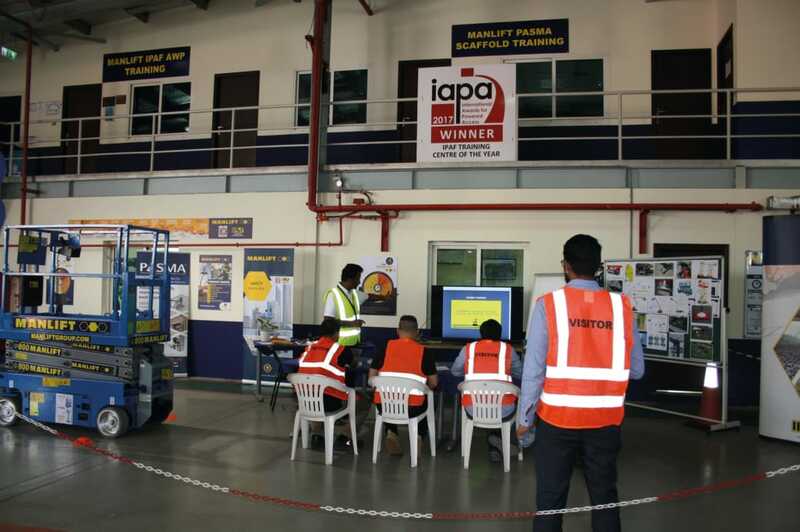 As a provider of IPAF training courses, Manlift works closely with customers as it endeavors to continually improve safety standards on access equipment across the Emirates, Qatar, the GCC and India. Each year, all Manlift’s training instructors attend the IPAF Professional Development Seminar (PDS) to keep them up to date on the latest innovative safety solutions for access platforms and to reiterate to them the importance of safety while using access platforms. Likewise, Manlift is committed to delivering the highest levels of service, productivity and safety to its customers. The IPAF training programme for platform operators is certified by the global inspection and product certification firm TÜV as conforming to ISO 18878. Upon successful completion of the course, trainees are awarded the PAL (Powered Access Licence) Card, which is recognised by IPAF and is valid for five years, along with a safety guide, a log book, and a certificate. Over the years, Manlift has catapulted itself as the largest specialist in the area of working safely and efficiently at heights. By continuously investing in people, quality and innovation, Manlift is amongst the best Aerial Work Platform specialists. With its increasingly international focus, Manlift can offer its' customers the best experience and service anywhere in the world.